Cinderella is always a fairy tale favorite, so I knew it needed to be included in my fairy tale hand embroidery series. 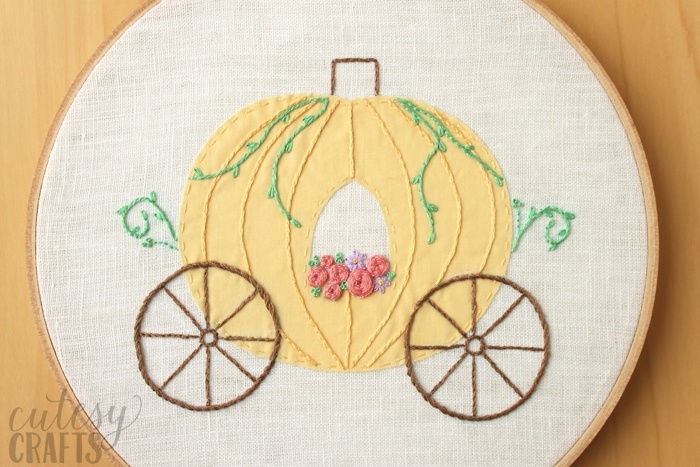 This hoop features the pumpkin carriage with some pretty vines and flowers. If you missed any of the other hoops in this series, you can find them all here. My favorite part of the hoop is the pretty flowers in the window. 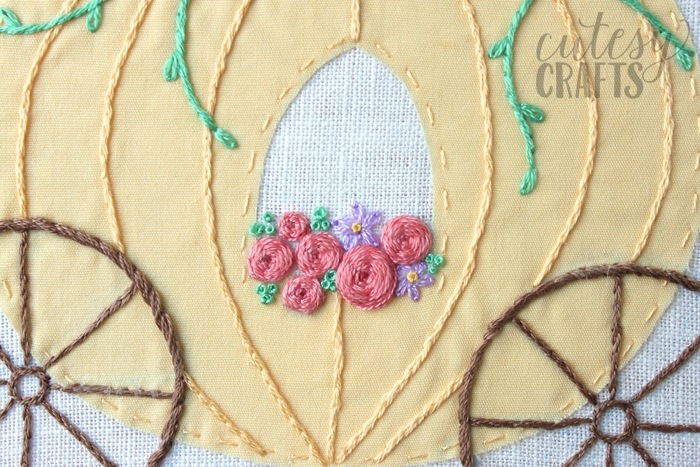 Check out my “Bloom” embroidery hoop videos for help making the flowers. I also love the curling vines. 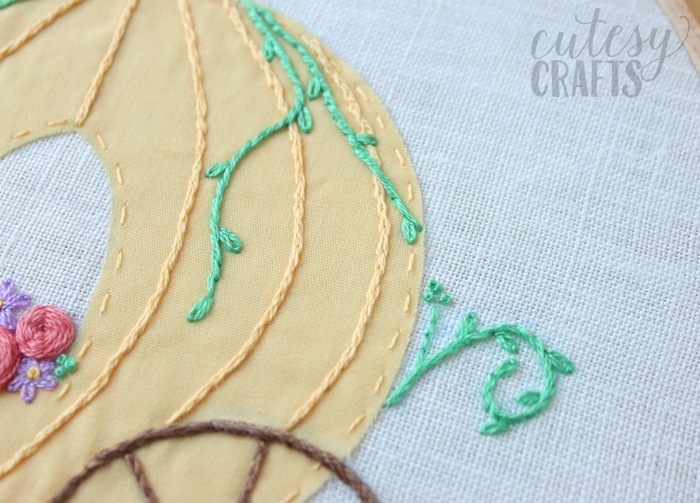 If you need help figuring out how to appliqué the pumpkin fabric onto the hoop, check out this post here. It’s much easier than you think, and I recorded a video to show you. 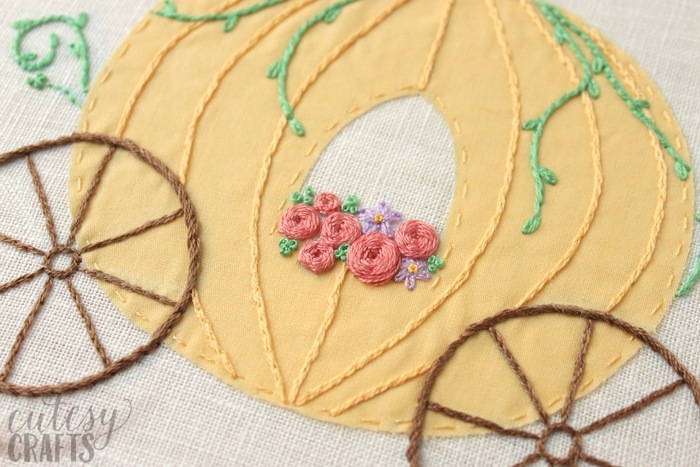 If you love hand embroidery designs, make sure to check out all of my work here. This is really nice. 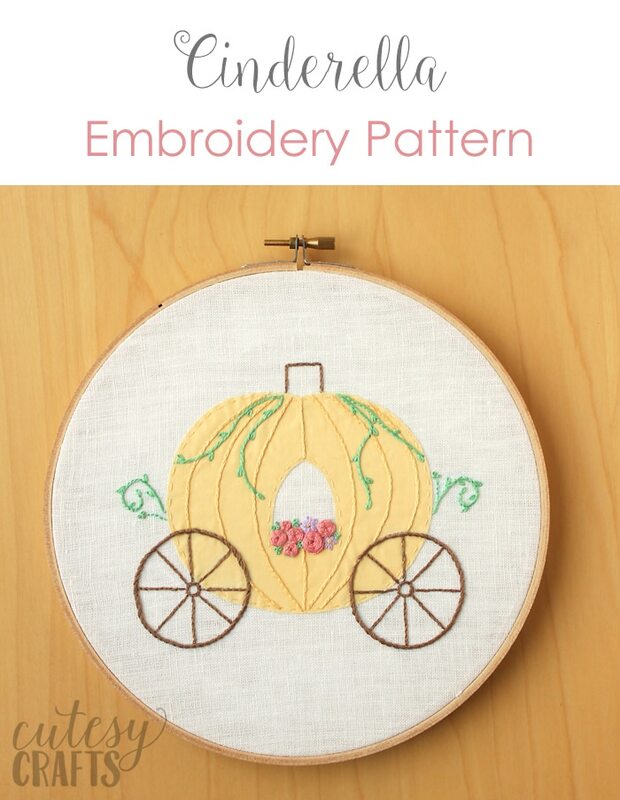 I love the tone on tone embroidery of the pumpkin. Oh wow, I love this so much!! Especially the vines and the flowers, it’s perfect! Thank you for the pattern!